Best commercial & residential movers! Looking for unequalled and professional Burke, Virginia movers and packers? We are the only company to call. Our movers can help make your move easier and free of stress. We offer local and long distance moving as well as storage and packing solutions, making us your all-inclusive moving service choice! Give us a call or email today for more details about our many services, prices, and any promotional offers. 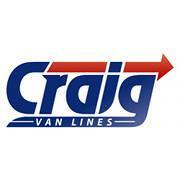 Craig Van Lines has gained the trust and appreciation of Burke families and small business owners who have chosen us over the last 80+ years. Our highly competitive rates are dedication to quality are second to none. Moving tip: If you are looking for ways to save, moving during mid-week and/or the mid-month periods is generally the least costly way as the demand for our services tends to be lower. By choosing us you can rest assured that you are receiving the best and most experienced Burke movers at a reasonable rate you can live with. If you reside in Burke or Annandale, Clifton, Fairfax, Lorton or Springfield, you can trust us for our professional moving and packing services. We are local, family-owned, professional movers who have served Burke and Northern Virginia through four generations. Whether your move is local or long distance, our experienced movers will pack, transport, deliver and unpack your property with great care and consideration. We treat each box as if it were our own and we always deliver on time anywhere in Burke, Northern Virginia and throughout the United States. Truck arrived a little earlier and proceded to pack everything in an outstanding manner, placed all items in the new condo with speed, ease and care.